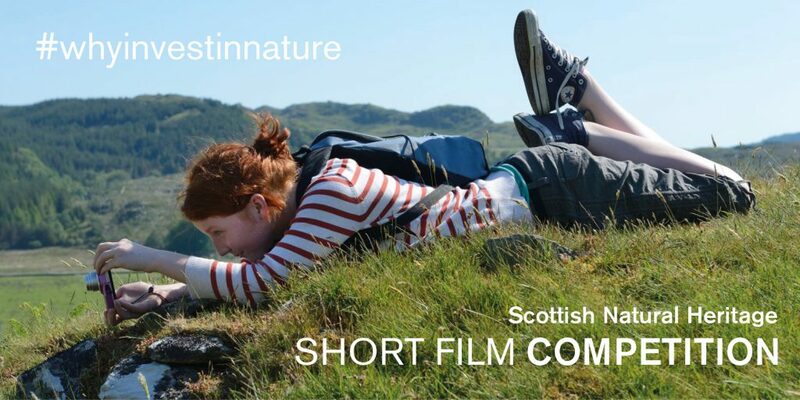 Scottish Natural Heritage short film competition: Why invest in nature? Welcome to our competition! This is a short film contest for young people aged 16-30 about why businesses should invest in nature. At Scottish Natural Heritage (SNH) and the Scottish Forum of Natural Capital (SFNC), we want to give businesses and policymakers a better understanding of how they rely on and have an impact on nature, to make sure that Scotland’s environment can thrive. And there are some great cash prizes up for grabs! We want your help to communicate with businesses. As a part of the legacy from the Year of Young People, we’d like to encourage young people to communicate the benefits of nature in a creative way and give them a platform for engaging with businesses. We have six different categories for you to enter, each representing six different business sectors in Scotland. The winner of each category will receive £500, and out of these six winners we’ll also announce an overall winner who in total receives £1000. We’re pleased to work with our sponsors and also collaborate with Creative Scotland and YoungScot. Curious about our sponsors? The competition is open from the 18th of February to the 31st of May 2019. The winner will be announced in June 2019 with a prize ceremony afterwards. Read through our ‘why invest in nature’ section and the recommended reading for a good background on the natural capital concept. Choose which sector you’d like to focus on and then think about why nature is important to the businesses in that sector in Scotland. We’re looking for original videos and animations with a maximum length of 3 minutes. a. Read through our terms and conditions to make sure that you meet all the requirements and can submit the film in the correct format. b. We want the film you’re making to speak to the sector you’ve chosen – remember that the winning short films will be used in real communications with businesses to get them interested and invested in caring for nature so try to make them as convincing as possible! Once you’ve created your very own short film, submit it here together with some contact details that we’ll use if your film has been successful. A GDPR statement about how we’ll use and store your personal details can be found here. Remember to submit it before midnight on the 31st of May 2019 to be a part of the competition. Our judging panel will then assess the films and we’ll announce the winners in June 2019. If you’ve won one of the category prizes or the overall prize we’ll be in touch with you make sure that you get the prize money, and to invite you to the prize ceremony.